As the blogging competition goes tougher, you will need all the help you can get. It’s good that you developed your own strategy to create compelling content that your audience deserves, but it’s seldom enough to put your blog to the upper echelon in your industry. There are many tools on the market that claim to provide you all the help you need for your blog. However, none of those tools can compare to what Buzzsumo brings to the table. In this post, I will detail the different ways that you can utilize Buzzsumo to your advantage. That includes brainstorming for content topics, researching for influencers to whom you can reach out to share your content, spy on competitor backlinks, and more. If you want to validate if the target keyword you’re planning to optimize for on your content has some legs, then Buzzsumo provide you the data to see for yourself. Upon logging in, click on the Content Analyzer tab and enter your keyword there. You will immediately see the articles about your keyword phrase, the total number of social shares of the posts, and the average of each. From there, you can see, if the keyword or topic is “shareable” and whether you should write about it or not. A little bit below are the social shares about the topic across different platforms. You will see which among the sites share content about the topic the most. Scrolling down the page, you will see the total shares of all analyzed posts according to the date when they were published. Once your content has been written and published, you can schedule sharing it on days with the most shares on that particular social platform. You will also see the social shares of posts based on their word count. From the image above, you will find that the most words in a post (2,000-3,000) has the most shares. This will be a trend with most content since they offer more information compared to content with lesser words. You can get your hands on the domains with site pages about your keyword or topic that is shared the most times on social. The information found here adds another layer to your competitive research, assuming that the pages from the most shared domains share your target keyword. Lastly, to round up your research, Buzzsumo will provide you the pages with the most social shares that discuss your keyword or topic. Unlike most tools that only feature the top results from search engines, looking at similar content with the most shares may provide you with more insights in the long run. Content from this list will help you transition to your social media outreach, which you can learn more below. Buzzsumo is an excellent way to find Twitter users who tweeted your competitor page so you can reach out to them and ask them to share your content. However, you should only do this if you think your post is much better and more superior than your competitor page that they tweet. After pressing enter, you will see the social shares that the post has accumulated throughout the years. Once you have the results, you should click on the “View Shares” to the right of the post title. From here, you will be able to see the users who tweeted the post. You can send them a message and share your post with them. Retweet Ratio – The chances that a user retweets posts of other users. The higher the figures, the more chances they will retweet. Reply Ratio – The likelihood that a user replies to another user. The higher the value, the more chances they will respond. Average Retweets– The number of retweets a user commits to every week. Ideally, you want to target Twitter users with lots of followers and high retweet and reply ratios, as well as average retweets. The likelihood of them visiting your page at the very least is high because they shared your competitor page with which you share the same topic. Chances will be just as interested in reading your post, if not sharing them as well! However, you may want to analyze the activity of Twitter users to understand their sharing habits. First, you may want to look into the links they have shared throughout the years. You will be able to see the type of links the users had shared on Twitter and the dates when they shared each. The data shown here will give you a good idea on how frequent they share posts on Twitter. If they don’t share as often (the last tweet of this user is in January of this year), then you may want to reconsider reaching out to them. To further drill down on the type of posts that the user shares, click on the Analyze Links on the same page. As the screenshot suggests, the information reveals the different topics of the posts users have shared over time. More importantly, it shows the most shared domains by users. Using the example above, 28% of the user’s tweets are from Youtube.com. Therefore, I feel that I shouldn’t reach out to this person since she prefers videos over content. Keep doing this on all of the users who shared your competitor pages until you come across a user with the highest chance of visiting your link and sharing it. When it comes to crafting a tweet to them with the purpose of promoting your post, there is no one-size-fits-all answer. You can test the response rate from each tweet by using a different version of the same messages and observe how each user responds. Personally, once I identify the users whom I will target on Twitter, I will first establish a rapport by retweeting their content until the user recognizes my efforts. From there, I will strike a conversation with the user about the topics s/he is interested in until we reach a point where I can slip in a link to my page. At this stage, since I have warmed myself up to the user and established a connection with him/her, there is a good chance that the user will entertain my link and share it with his/her followers. Keep in mind that social media outreach is not a one-and-off thing. Instead of tweeting your links to as many users as possible, you want to target influencers who have lots of followers and are active on Twitter. Doing so allows you to not only promote your content but also promote your upcoming ones with the help of this user. To gain a better understanding of how social media outreach works, read this post at Sprout Social. Buzzsumo is a great tool for finding link building opportunities for your content. All you need to do is click on the Backlinks tab and enter the URL of your competitor page. All results shown on this page came from Majestic. This is a perfect complement to your link building campaign if you have an existing Ahrefs or SEMrush subscription. From here, you want to see how the author of each article links to your competitor links. From the screencaps above of the Small Biz Trends post, the author links within the content. It is possible that the author mentions your competitor page on the page in different ways such as a blog comment or a sidebar feature, so you need to look at the page yourself to identify your course of action. Comment on the post and mention your link– This is a low-risk tactic that doesn’t work all the time. Some editors will not entertain your comments because it has a link to them. The idea here, therefore, is to provide a comment that offers value to its readers. Even then, you still can’t be too sure if it will ultimately be accepted. 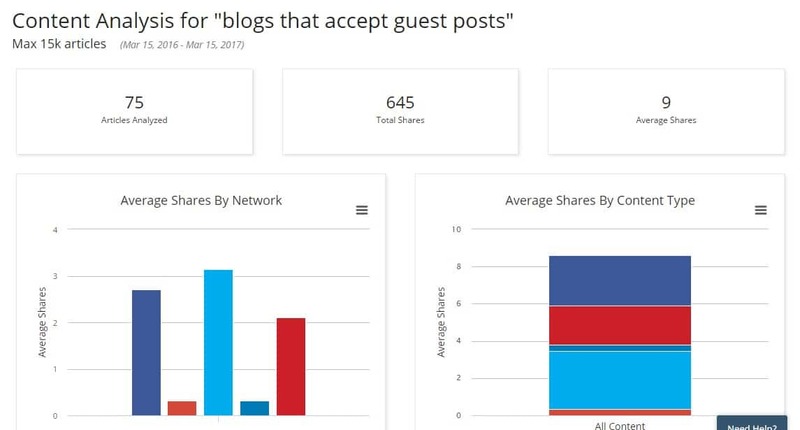 Write a post on the blog– Find whether or not the site or blog accepts guest posts so you can write a highly informative article that includes a link to your page. 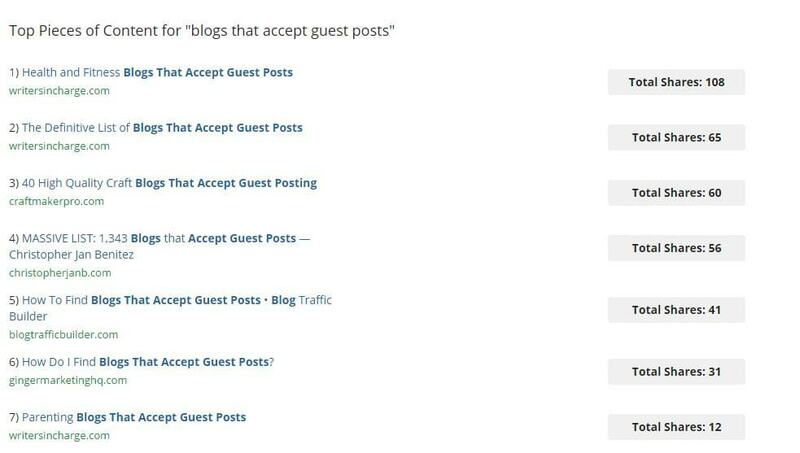 Keep in mind that guest posting is a link building scheme is frowned upon, so you need to make the best content possible to increase its chances of acceptance. These are two of the most basic ways to acquire a link from a page with a backlink to your competitor post. At this point, you need to identify how to obtain links from all the pages that link to your competitor pages (at least the first ten pages of search results). This process will be time-consuming, so you man want to consider hiring a VA or an SEO specialist who will work closely with you on this. 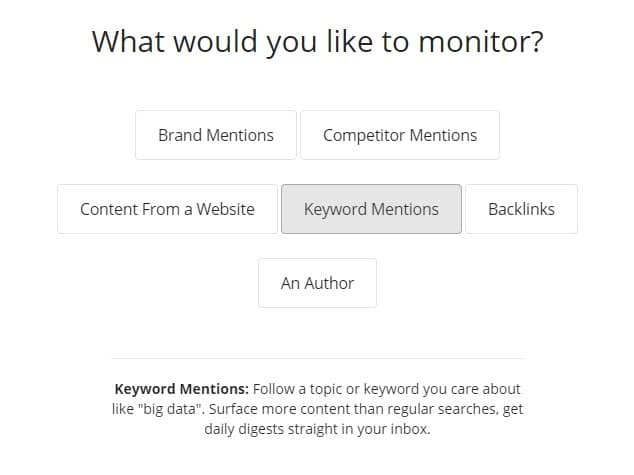 To make sure that you can engage with other posts in the future about your published content, you need to use the Buzzsumo’s Monitoring feature so you can receive alerts about fresh content that mentions your content’s target keyword. There are two ways you can proceed with this. To set it up, go to the Monitoring tab, and click on the Keyword Mentions button. You can focus on an exact match, or you can filter the results by including and disregarding related keyword phrases. Also, filter the alerts according to domains (whether including or excluding them from results). Finally, choose how frequent you will receive the alerts in your inbox. 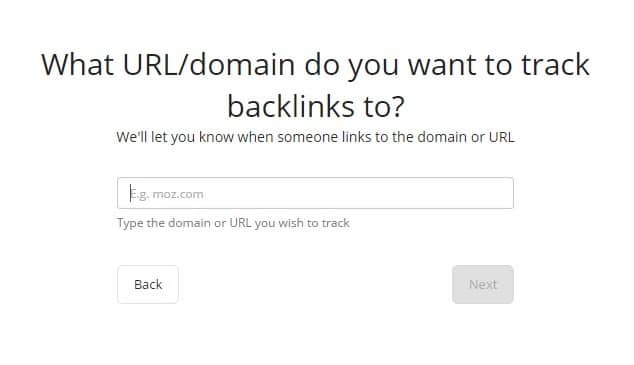 If you want to track how your competitor pages are acquiring their backlinks, then you need to go to the Monitoring page and click on the Backlinks button. Enter the URL that you want to track. I suggest that you follow the most recent competitor pages with an established backlink profile that seem to grow by the day. You can determine that by referring to the Link Building section in looking at its backlink profile. On the next step, you can choose from tracking the exact URL where you can find the competitor backlink, or the domain/subdomain. 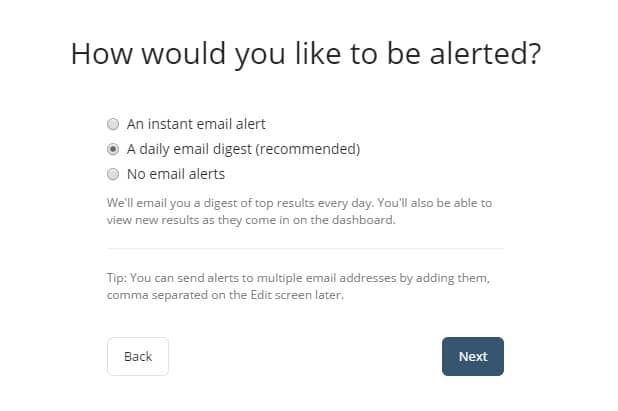 Lastly, choose whether to receive how frequent you want to receive the alerts (immediately, daily, or weekly). Once Buzzsumo sends the alerts to your inbox, you can just refer to your link building strategy detailed above. Identify how the link was built in the page and replicate their tactic on the same domain. 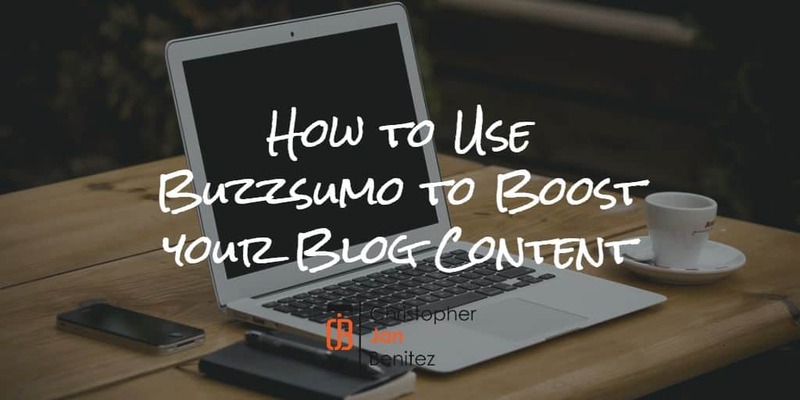 Truly, there are lots of things that you can do with Buzzsumo to help bring your blog on the cusp of greatness. The tactics and techniques I discussed above are probably some of the many ways that you can use the tool to create stunning blog content that your competition won’t be able to match. That said, it would be a shame to not include Buzzsumo in your arsenal for the content creator. In fact, I would even claim that this is the only tool you’ll ever need for your blog. Question: If you are a Buzzsumo user, what are other ways that you use the tool aside from the ones mentioned above? Please share them by commenting below!